Sabbath to Sunday shift on purpose by the Jewish community of the apostle James? He furthermore said that Rabbi Jacob Emden had the opinion that baptism was the denominator to enter the new religion for the gentiles. Instead of circumcision which was meant for Jews. But for the Gentiles he [Jesus] reserved the Seven Commandments which they have always been obligated to fulfill. It is for that reason that they were forbidden pollutions of idols, fornication, blood, and things strangled (Acts 15). They [the apostles] also forbade them circumcision and the Sabbath. … The Apostles of the Nazarene therefore chose for those Gentiles who do not enter the Jewish faith that instead of circumcision they should practice immersion (for truly immersion is also a condition of full conversion), and a commemoration of the Sabbath was made for them on Sunday. In the New Testament we can find a difference between Jewish observance of the Torah and Gentile observance of the 7 Noachides. This is laid out in Acts.15. That means that if a new believer did not accept (the yoke of) the Torah, then he might enter the new Christian religion by baptism. In some sense you can call this new religion a part of Judaism, or something that fits into Judaism (7 Noachides), but it is not Judaism itself. That will teach us that there were two deliberate tracks for believers: The Jewish Torah observance and the Gentile 7-Noachides observance (without sabbath and circumcision). If not the whole Jewish community of believers led by the apostle Jacob was scattered around since the destruction of the temple in 70, then, we probably would find the difference of Jewish and gentile believers also in the scriptures of our church fathers. Unfortunately the church went in its own and Judaism was not only singled out but also forbidden. And they deleted almost everything what remembers Judaism. E.g. highlighting (un-biblical) Christmas, change passover/easter date, etc. Christianity meets Judaism and it is intensifying. In the discussions on internet about the new book “Kosher Jesus” from Shmuley Boteach I found some interesting quotes. I watch the debates with great interest. What Shmuley would do with his book for Christians works out precisely the opposite way for Jews. Allthough, rabbis are afraid of that. I think it’s not that much attracting for orthodox Jews but what it shows clearly is that there are put efforts in re-picturing the Jew Jesus. One who laid a very worthy basis for both camps is the high respected rabbi Jacob Emden. (17th cent.) His approach of Jesus and Christianity is of great significance for Jews. So I will begin with citing rabbi Jacob Emden from a post of Shmuley. But, probably he asked too much from his fellow Jews. As Rabbi Blumenthal called it: insensitive. 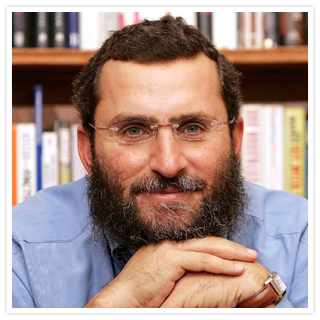 The book is banned by rabbi Immanuel Schochet. Read the ban here. This is a very exciting book. And I never read such a good explanation of Matthew 23. 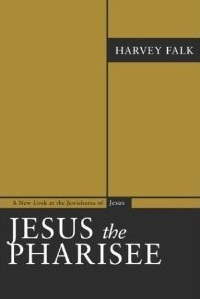 Harvey Falk, a rabbi who has written extensively on rabbinic Judaism, wrote his vision on the emerge of Christ and Christendom out of the Jewish tradition in his book Jesus the Pharisee, A new look at the Jewishness of Jesus, 1985. He boldly leans upon the famous rabbi Jacob Emden’s work Seder Olam Rabbah Vezuta, 1757, which has an investigation of Christianity in it and a letter which “laid the groundwork of this book”, p.4. The thesis of rabbi Emden is that Jesus and Paul would establish a religion for the gentiles based on the 7 Noachide laws, strengthening the Torah of Moses (who commanded this) and removing idolatry from the gentiles. What he is arguing in his book is what Jesus says against the Pharisees and Scribes is not as much as said to the pharisees in general, but more specific to the pharisees of the school of Shammai. Those who cooperates with the Zealots and were against salvation for the gentiles. The school of Hillel was much more kind to the gentiles, but they disappeared a bit and went to the Essenes. I just had prepared this review, but now, today, I heard an interesting lecture of an orthodox rabbi and I want to share with you someting. (He didn’t want to have his name mentioned.) I spoke to him personally and asked him if he knows the book of rabbi Harvey Falk. And he did because of Jacob Emden. I asked him because he began to say that he was so exciting about Jacob Emden. He said Jacob Emden gives a very good and interesting view of Christianity. So that triggers my ears boldly and I realised that we have much in common. I saw that there is so much to be revealed to both Christianity and Judaism. He said this could be a very good base for Jew and Christian to build on. He also pointed out that rabbi Emden published his book on his own. Unfortunately he also said that there’s a little change that any of the orthodox Jewish scholars know about the letter of Jacob Emden. He told me he would like to re-translate and to write a scholarly version of this letter without the opinion of rabbi Falk of the beth Hillel/ beth Shammai matters. I hope he does! He was very exciting and told that among the many Christian theologians he spoke to, I was the first who presented the book, which he found very encouraging. So, the bottomline: This letter of Rabbi Jacob Emden might going to be very important. I also want to share a review of this book from a fellow blogger (Paula) here. 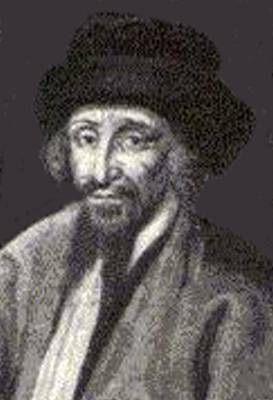 This is not only the meaning of contemporary rabbinical Judaism but also of the disciples of the Notsri Rabbi Yeshua ben Joseph, according to rabbi Jacob Emden(1697-1776) son of chacham Tzvi. The gentiles are not bound to the Torah. Since I read this blogpost recently which shared an article of rabbi Jacob Emden, I more and more came to realize that this little saying of this rabbi can be a key for me to understand the distinction of the unique position of the Jews with respect to the Gentiles. Not all is clear for me, but that there is a difference between Jew and gentile is pretty clear. Not in terms of Grace, but in other terms. When it comes to replacement theology many church-people would say that it has been an error, and now with just recognising Israel as something special, as “the chosen ones with the promise of conversion to Christianity”, we can go on and everything is fine. Just a reconciliation of their own faith and recent Jewish history. But what the unique position of Israel implies to Christianity is much more than many church-people could think about. The fact is that we remain gentiles, not Jews. You can say that we are “grafted in”, and yes its true (I never can deny that because my heart agrees with it) but we are not become Jews. The apostle Paul recognized the Jewish people clearly as a different people in his letter to the Romans. The difference will end in a broad repentance of the Jewish people, the chosen ones with the benefits they have, and a great glory will begin when this beloved people will come to their God. In the Messianic era, times will change. Then we would not say Christianity or Judaism, we would say One God. (Zach.14:9) But until then Jews are separated and kept under their covenant. Christians (a few amongst the broader common who are true and faithful) have a share in that covenant. There’s one covenant above everything and that is the so called covenant of grace. And those who have a share in it can only have it through the Messiah Jesus, as a part of the Jewish people. Becoming a part of that will mean a dying life. Dying because you are a part of Him, the despised Messiah, he who is rejected until now. You’ll share the same. Only through dead you’ll become righteous. The kingdom is not now, but after resurrection. Now we are all defiled, no man is perfect. Nice churches and great buildings have nothing to do with real Christians. No, Judgement begins at the house of God (1Pet.4:17) and Many are called but few chosen. (Matthew20:16 and 22:14) So in fact true Christians are hard to find, the majority of the Christians make not a good picture of it. It’s hard to understand but in the church are the most anti-christian powers active. That’s why it is so difficult for orthodox Jews to get the right picture of it. A share in this grace and this new life and ultimately in the world to come, will be the same for the faithful Jew and Christian. However there’s a difference in the way they have to go and the purpose they have. The Jew has a unique covenant and halacha in which role they serve also as a keeper of the Torah, a shomer Torah. (Rom.3:2) And as gentiles: From the Jews we learn Torah, from them we have the Messiah, from them we have grace. But a very special result of entering the covenant of grace is that we have got a new will and a new desire to serve the God of Israel. Then it comes to happen that a person wants to keep the law fully. Through the law he sees that he violated His goodness which he regrets. In order to get saved from the wrath of God he is going to obey the laws with a great love in his heart to do this. He is convinced by his own heart whether something is good or not. (Rom.14) But the underlying law comes always from the bible, the very word of God, which speaks to the heart. This is the voice and commandment of the Messiah. Which the called and chosen gentile heartily will obey. How far can we serve God? So far as we know Him and His commandments. If we want to serve God and we want to get His kingdom on earth, how recommendable is it to “assist the Jews in the observance of their Torah” as Jacob Emden said. If they really come to the Torah of God they’ll come to their Messiah too, or better to say the Messiah will come to them. And to us.